Is it crowded in here? This was a neat graphic that someone made. It shows the population at a given latitude or longitude as a bar chart, overlayed on a map of the world itself. 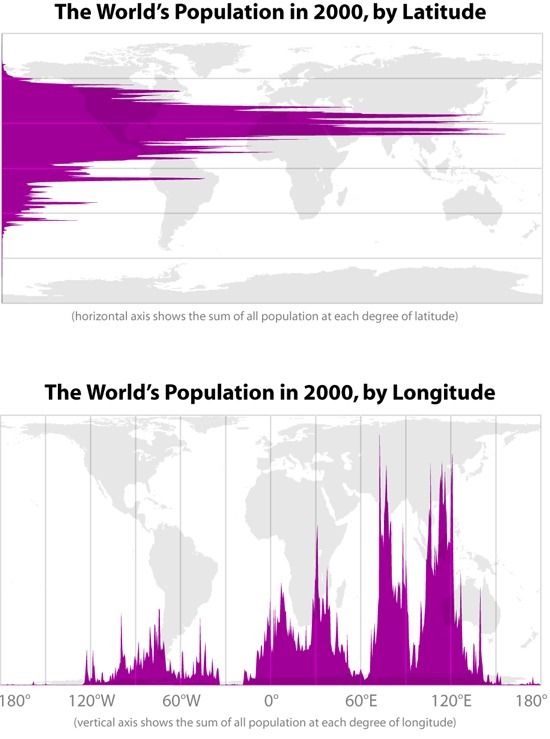 It shows where people live; the bigger the bar, the more people living at that latitude/longitude. I love that such a small amount of code can produce something so interesting. Click the images below to view them in all their full-size glory. How is this useful? Well… okay, it’s not. It’s pretty. That’s what it is. An a neat exercise in data manipulation and plotting. To leave a comment for the author, please follow the link and comment on their blog: R – Irregularly Scheduled Programming.